← ISON- a glimpse from England. Look at all those photons. How should I review a bike lamp? The first rule has to be – no clichés. 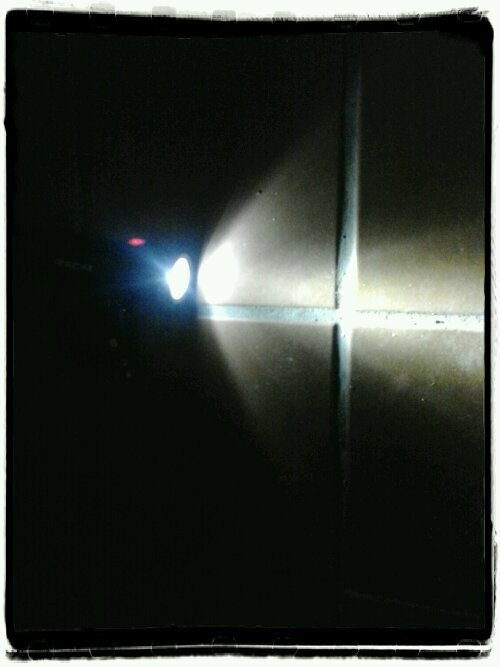 It’s small, like a fat cigar, but as bright as 25-30 watts of halogen lamps. Compared to my current light set, it has further reach but is much whiter, almost blue. That makes comparison tricky. The only real test must be on an unlit road at speed. I shall use it together with the old lights until I am confident of its burn-time. The online reviews criticise it for the lack of side spread illumination. If it works well, then the old, heavy lights will get packed away. Then I will pick up a new secondary light. This entry was posted in Cycling and tagged cycle lights, LED. Bookmark the permalink.